Possibly the best prices in Bristol! Does your leadwork need some attention? 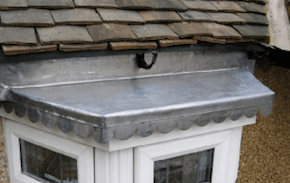 It is normal for leadwork and flashings to deteriorate over time, but here at Avoncraft Roofing Services, we understand what a nightmare it can be. Don’t worry – we’re here to take care of it for you. The remedy for deteriorating leadwork is to remove your existing lead and replace it with appropriately coded lead, with re-pointing and re-tiling done as needed. When you choose Avoncraft Roofing Services, you’re choosing a commitment to high quality services at affordable prices. Our 100% customer satisfaction guarantee can put your mind at ease – we’re not finished until you’re happy.